Set on Jedha, a world full of myth and legend, two friends Baze Malbus and Chirrut Imwe, former Guardians of the Whills and protectors of the Kyber Temple find themselves at odds when the Empire arrive and place the planet under Imperial rule. One of the Empire’s first actions on Jedha was to destroy the Kyber temple in order to mine all of the Kyber crystals to power their Death Star, this leaves Baze and Chirrut the task of protecting the people of Jedha. Refusing to stand down, the pair are left with several options, escape the holy city, survive under Imperial Rule, or fight back, risking lives of the Jedha civilians in the process. As the story progresses, the Empire become even more unruly, Stormtroopers begin committing violent acts leaving the pair no other choice than to seek help from Saw Gerrera and his partisans and as evidenced in Rogue One, he suggests the more extreme option as the necessary choice, whereas Baze and Chirrut seek other means. Throughout the book it becomes clear that for Baze and Chirrut, going to Saw Gerrera was a last resort; this decision leaves the relationship between both parties a bit sore, which provides readers with more of an insight into what takes places during the last moments on Jedha as seen in Rogue One. 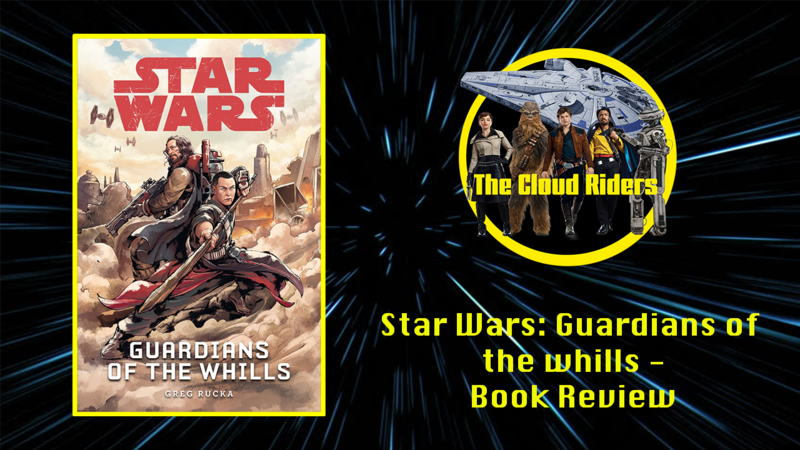 Before the events of this book, Baze and Chirrut knew their purpose in the galaxy, serving as Guardians of the Whills and watching over the disciples at the Kyber Temple; once the Empire arrive, that all changes and they no longer know what is expected of them. The pair survive by staying under the radar and collecting Intel in order to help the Jedha civilians. Chirrut holds on to hope throughout and he can feel the force at his side at all times. By having those feelings he always looks to hope, even when the circumstances suggest that there is none. Baze on the other hand isn’t as invested in the force as he once was, he believes in Chirrut but at the same time feels the pair should be doing more, leaving him with a difficult decision between taking action against the Empire, or staying out of it all due to what the consequences of those actions will be. In the end, Baze chooses to fight knowing full well what’s at stake. Greg Rucka did a fantastic job with regards to making this YA novel fun and compelling despite the story having dark undertones. Rucka also infused a lot of “Force Lore” from different force users form different time periods which provides a small insight into the long history of the force. The story also delves into how Baze ends up with the massive gun he uses in Rogue One which was a very interesting section of the story. The character development for both Baze and Chirrut is commendable throughout and it seems pretty clear the devotion is one of the mains themes of this story; Chirrut devotes himself to the force, and Baze devotes himself to Chirrut.